In this episode Shahriar explores the principle operation of a camera flash circuit. The flash circuit is analyzed at the schematic level and through measurements. He then moves on to power a nixie tube using this circuit and calculates the efficiency of the DC-DC converter for this type of application. There is also a little quiz in this episode! Whoever solves the quiz will chose the topic of the next video. Wonderful! It’s helpful for me! the software itself is entirely invisible. This means, more revenue without incremental investments. This unit’s small size likewise helps make it an ideal complement to your family kitchen. technology. There are many people who proclaim that coffee is quite unhealthy. Some individuals are young enough to think that having espresso at home has always been normal. preferences of all their guests with all the variety of K-Cup single-cup brew packets. not receive too much light coming from your outside. or perhaps the power to control the entertainment gadgets like DVD players, radio and television. discount code cater to the needs of these exceptional learners. landlords do not want this amount to be dictated to them. Great video, Shahriar. Very clear explanations, good video quality, great content. Thanks a lot for sharing this. Why is this circuit designed to charge the capacitor with the negative voltage of the wave? Would reversing the diode and large capacitor cause the circuit to then charge the capacitor with the positive voltage? I think you can increase the efficiency some by removing the big capacitor. 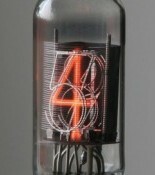 It’s not needed for a low-current application like a nixie tube, and will “leak” rather significantly at 10kHz. Thanks for your comment. I agree that the large capacitor is not necessary at all. It can be replaced with a much smaller cap which will have less leakage and would also reduce the charge time significantly. Some capacitor is needed however for the peak detector circuit to work. I don’t think your schematic in part 2 is quite correct. The 220 ohm resistor is in the wrong place. There are many variations of this circuit. The DUT I am presenting however has the resistor as I have shown it. I went back and double checked the PCB, one side of the resistor is connected to Vdd and the other side to the secondary coil of the transformer. Thanks for the link, lots of useful information there!